Ms. Nidhi Baweja - Crush & Varma Law Group P.C. 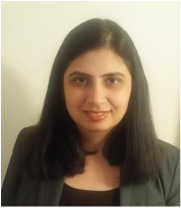 Ms. Nidhi Baweja has extensive experience in U.S. Immigration law & Nationality law. She has expertise in securing H-1B visas involving key issues such as specialty occupation, employer employee relationship and ability to pay among others. Further, Ms Baweja’s experience includes handling all stages of employment based green card i.e. PERM, I-140 (including I-140 portability) and adjustment of status. In addition, she has represented individual clients in asylum, family based green card and naturalization matters before the Department of Homeland Security, U.S. Immigration Courts and USCIS.